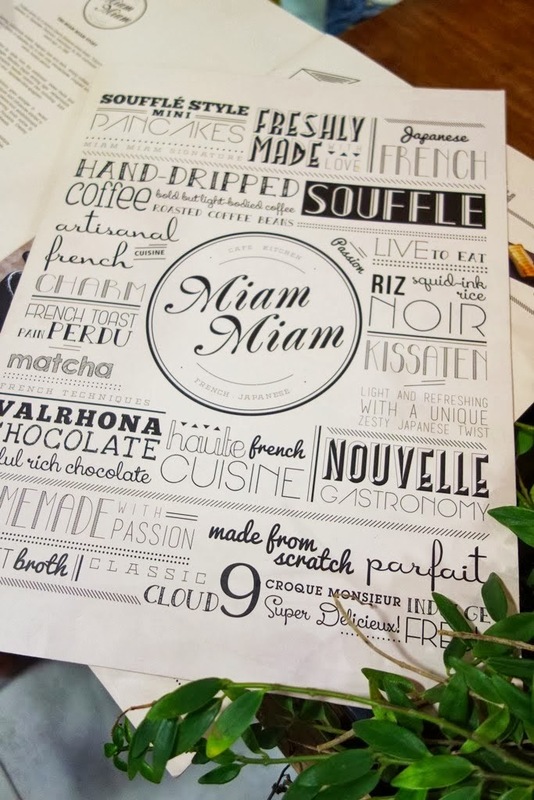 Miam Miam is one of the newer artisanal French cafe-restaurants that opened at Bugis Junction in late October last year. 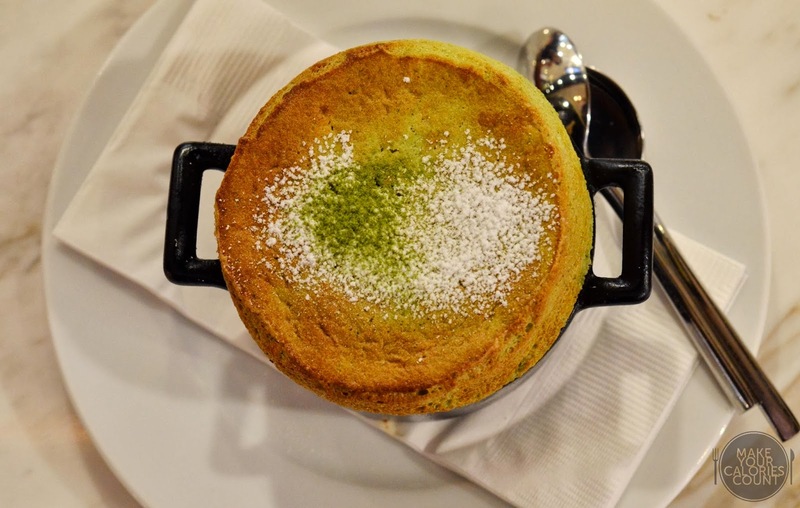 Inspired by the grace and charm of kissatens, which means tearoom in Japanese, Miam Miam aims to deliver fresh flavours and ingredients of Japanese cuisine, together with French artisanal cooking techniques. 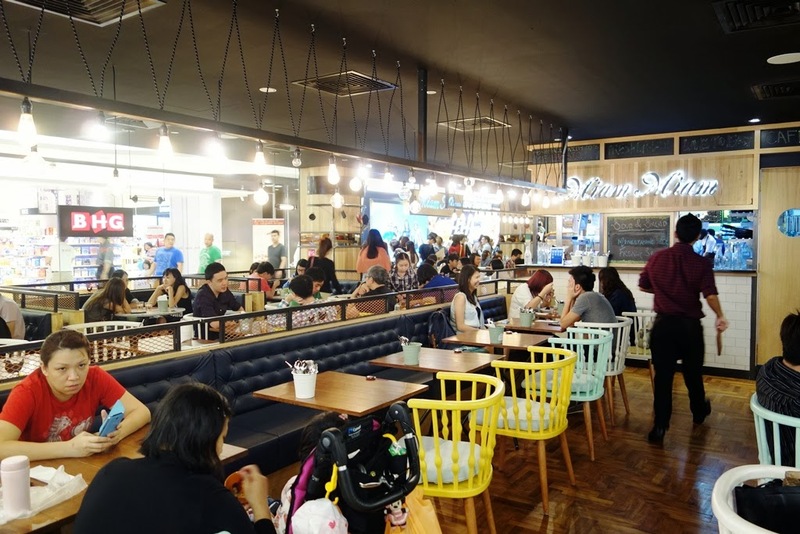 Using only the freshest and sustainable-sourced ingredients, is the queue justifiable? When it was finally our turn at the queue after some 15 - 20 minutes, we were informed that tables will only be issued when all diners are present. We however noticed that there was a table of three ladies who were seated inside only to be joined later by two other friends and placing their orders subsequently. Equality does not always prevail, it seems. 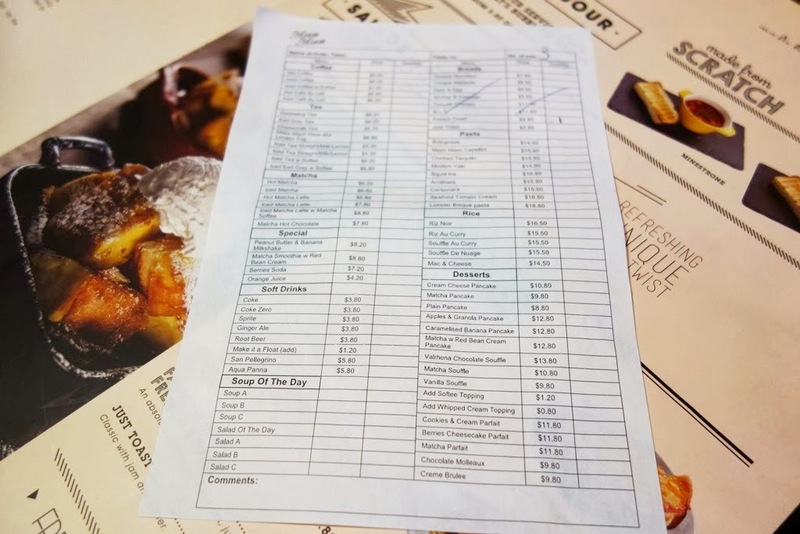 Anyhow, when our group was finally complete, we submitted our orders through ticking off a menu. 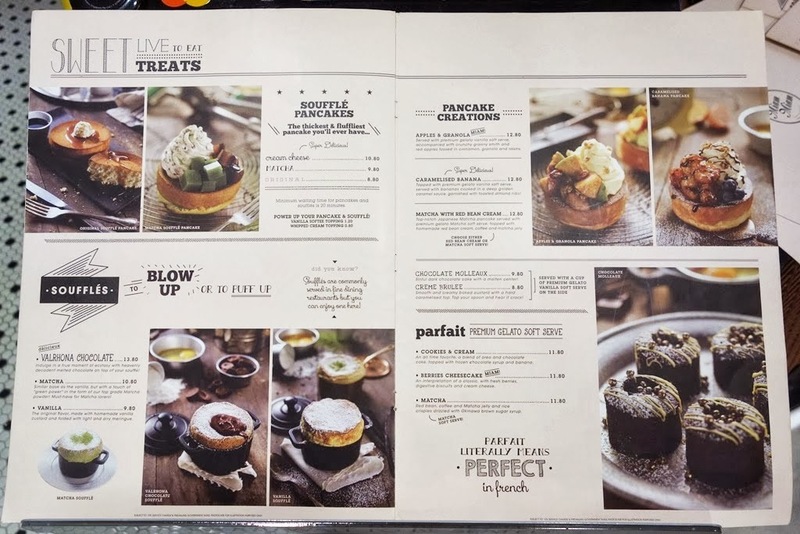 We were advised accordingly that the pastry dishes would require a waiting time of about 40 minutes which I felt was a nice gesture for diners to adjust their expectations and particularly important if they are rushing off for a movie or some other planned activities post-dinner. 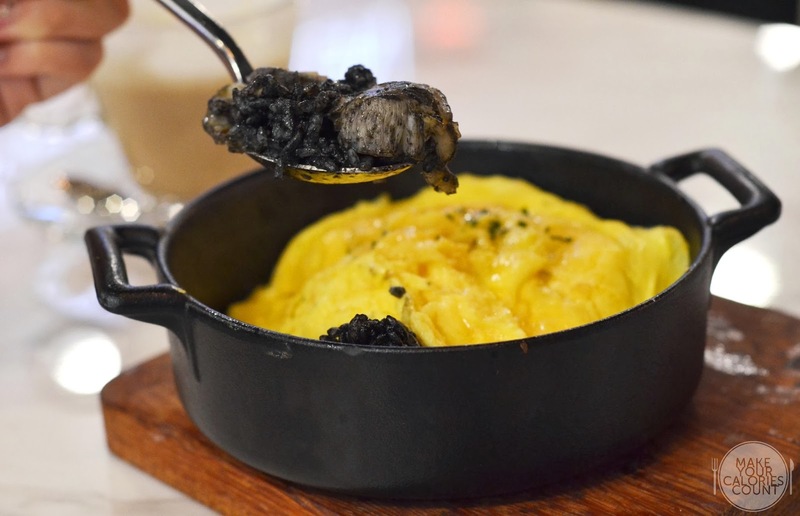 Riz Noir is the french name for black rice and at Miam Miam, they served an unexpected squid ink rice underneath a buttery-tasting omelette. The eggs were velvety smooth with a strong buttery fragrance. A scoop further revealed the essence of the dish; the rice had a unique colour to it with refined iodized flavour. The squid ink rice was cooked al dente and the texture of the grains was nicely complemented by the smoothness of the overlying eggs. Arguably among ourselves, some felt that the rice was a touch too salty for their liking while personally it was within my acceptable level. There was quite a generous portion of squid, scallops and prawns in that rice but for a restaurant that takes pride in serving fresh seafood, I was rather disappointed with the quality of the prawns. Overall, the flavours were spot-on and good, particularly the squid which was cooked beautifully to give a nice elastic texture without tasting too rubbery. 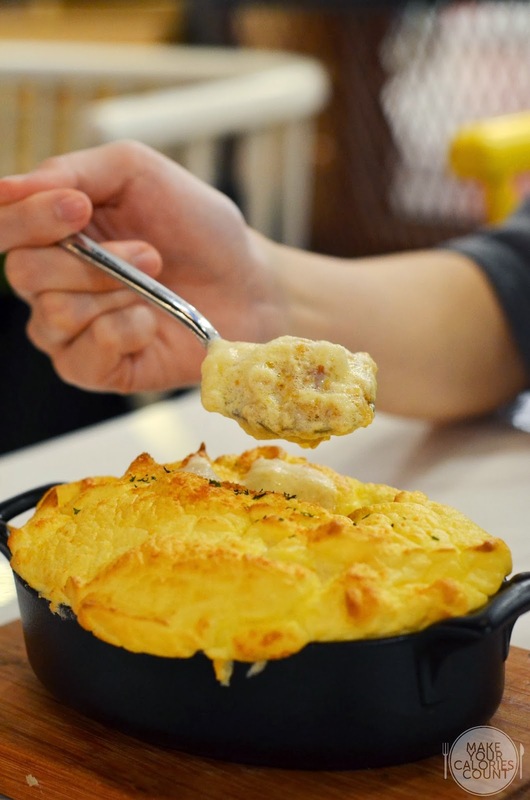 For those who generally have a preference for cheesy and creamy food, this would suit your palate. Unfortunately, I am not quite a fan when it comes to creamy dishes for I find it satiates my appetite quite easily. 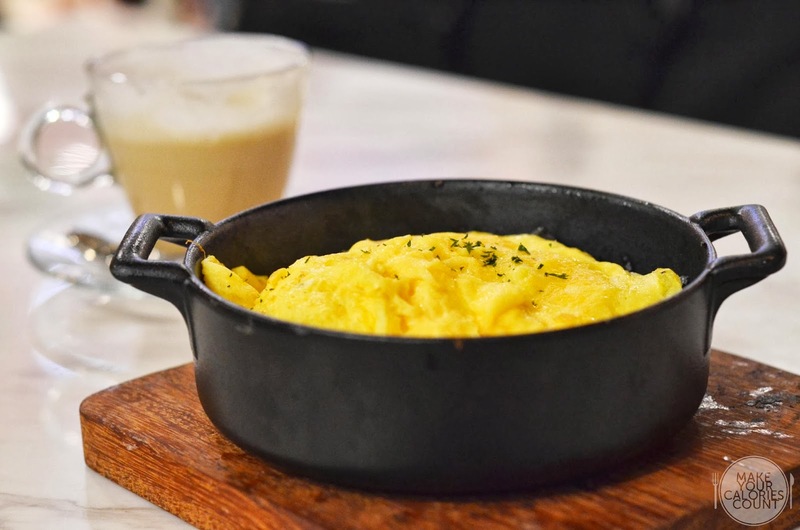 Nonetheless, in all fairness, I felt that it was beautifully cooked and there was no denial that upon service, the waft of fragrance from the 'clouds' of eggs and cheese whetted our appetite! 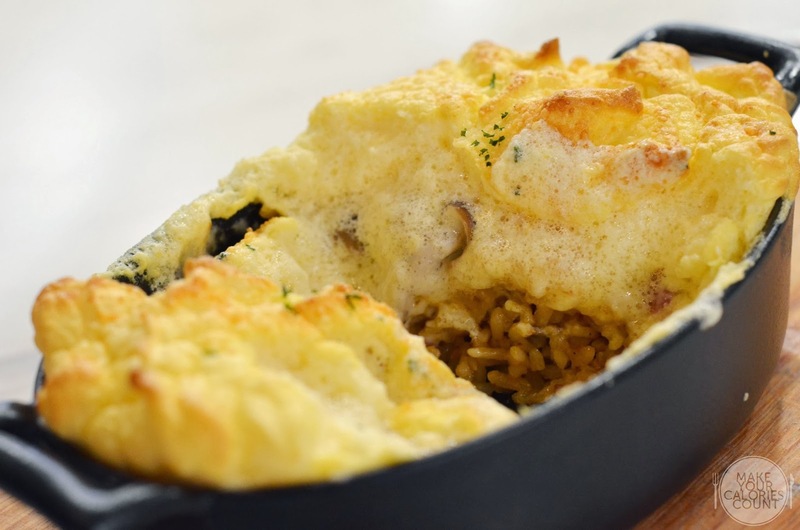 The home-styled ketchup fried rice underneath that cloud tasted pedestrian standalone but when enjoyed with the oozing cheese, it could be quite a savoury mouthful. 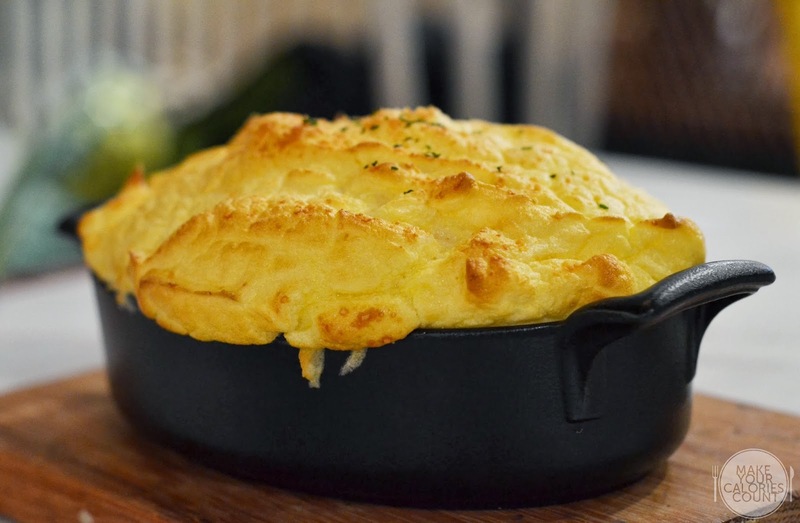 I would struggle to finish the dish on my own for the eggs and cheese would fill me up by the third or fourth spoonful. With an impressive name, I found the taste to be a disappointing match to say the least. While I appreciate the efforts to introduce a few elements and flavours in the drink, it seemed too ambitious and the earl grey based tea failed to shine through in its own glory. 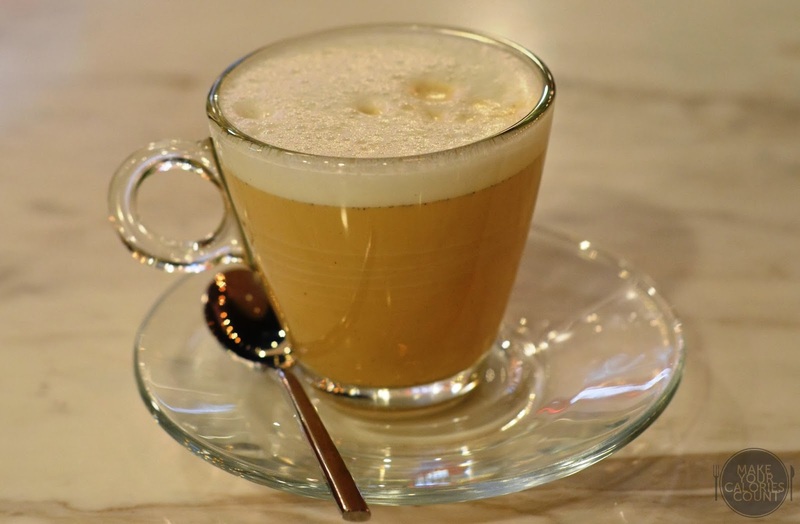 With steamed milk and homemade vanilla syrup added to the hot beverage, it was ironically like what the name suggested, a hazy and foggy experience for my palate. This might have an acquired taste on some but it surely did not work well for me. The serving glass for its price does not quite seem to do justice either. My first reaction upon service was, "Uhm...is that it?" 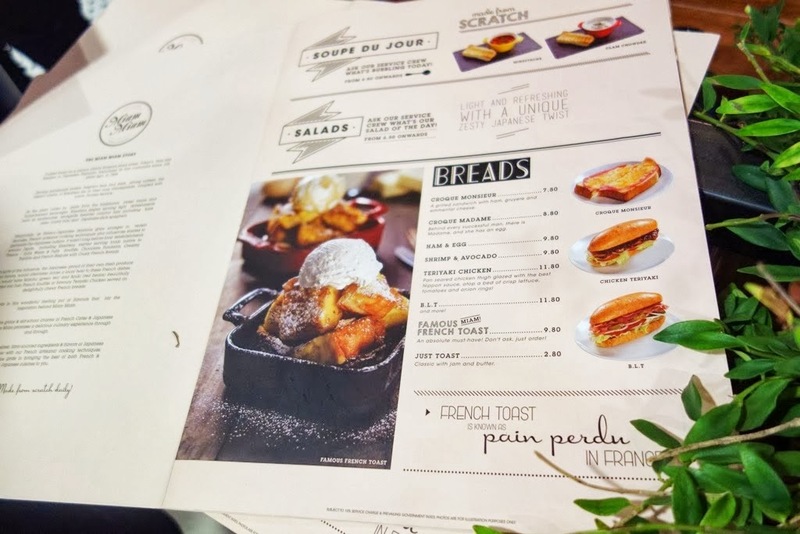 One key takeaway was I learnt the French name for French Toast - Pain Perdu or so we read off the menu. Starred as one of the key signature desserts, it had an interesting texture to it, quite distinctly different from what I had tried elsewhere. 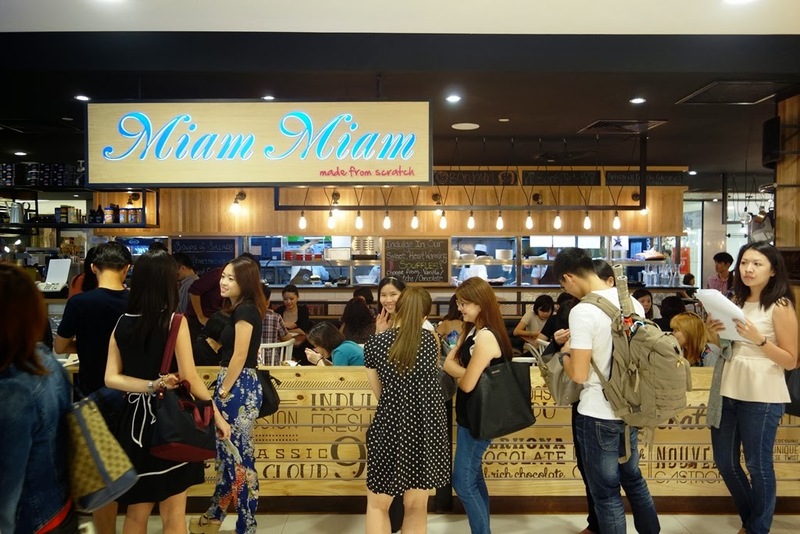 Miam Miam's rendition tasted more like kueh or snacks made from rice flour or glutinous rice base. Unlike the usual toasts which have a soft and fluffy inside, this was dense and could be quite a filling dessert. 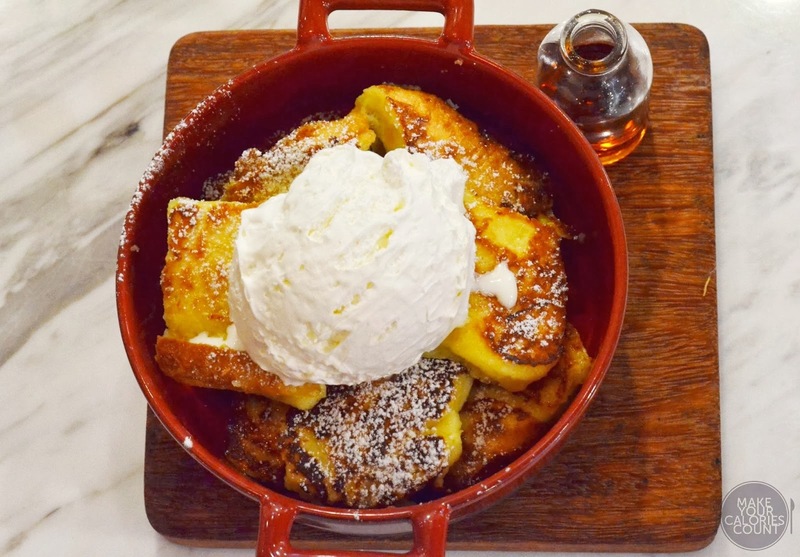 Once again, I felt that this could potentially be quite a controversial dish as I know that some people might enjoy the texture for what it is while others, myself included, have a preference for the more traditional French Toasts with fluff. I could not quite bear to enjoy the cream that was scooped into the shape of ice cream. The cream was rather rich and definitely not reserved for the calories-conscious. 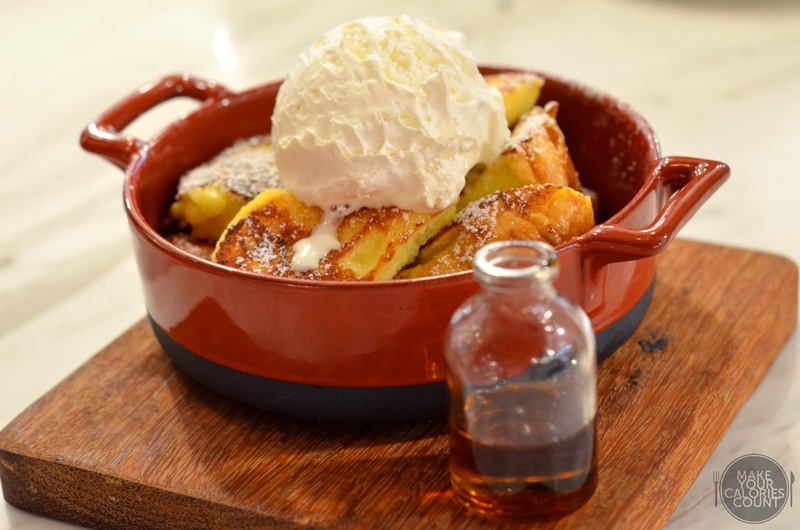 Separately, I found myself enjoying this dessert better simply by drizzling the maple syrup over the warm toasts. 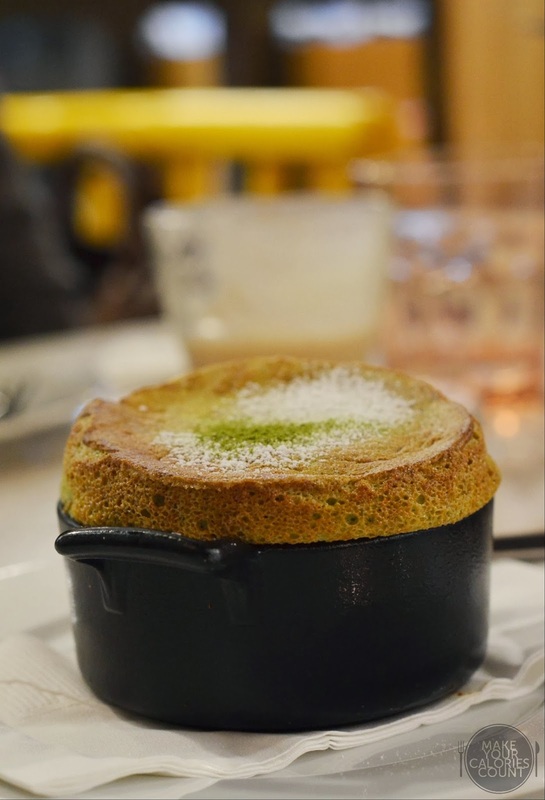 There was a beautiful crust to the soufflé as evident with that golden-brown tan on its surface. If you want to take a snapshot, I would advise you to do it immediately upon service as some three to five minutes later, the crust would collapse. Digging in, I found the taste of matcha lacking. Instead, the viscosity on the inside and the taste awkwardly reminded me of kaya. It was slightly too sweet for my liking though for those with a strong sweet-tooth craving, this might do the job. The preparation and technique was beautifully executed but the taste lacked depth. Interestingly, you could press one of these buttons located at the edge of each table to call for attention from any of the available service crew. They each wear a watch which is synchronized to the alert which gives the assurance to diners that their attention are being valued. 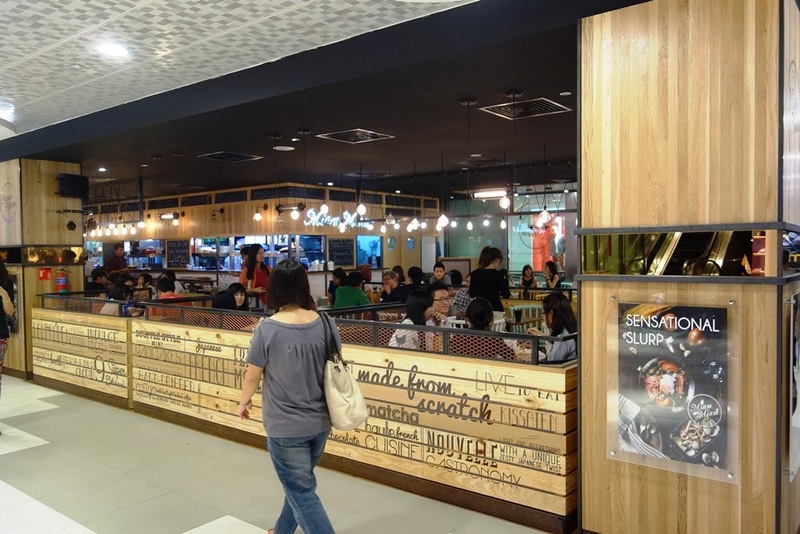 Miam Miam offers an open-space concept so while it was fenced off from the public, expect shoppers to stare across your table especially if you are allocated a table at the ends of the restaurant. 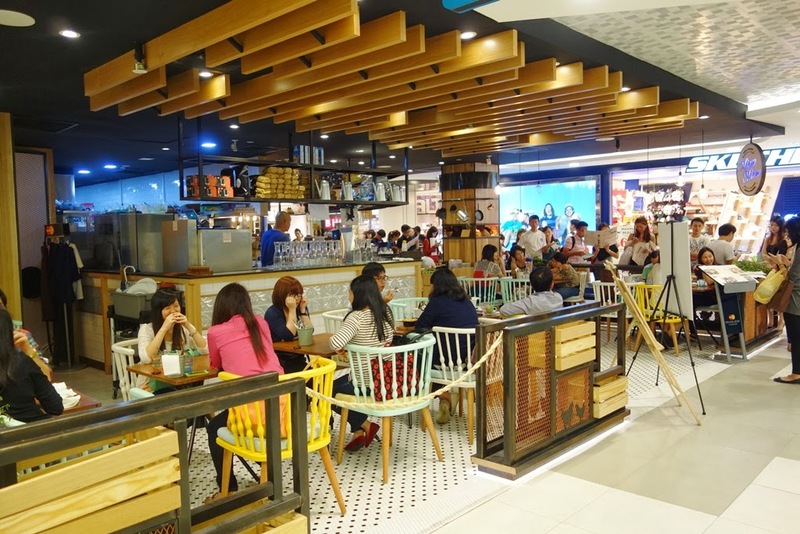 The vibe set off by the restaurant is one of casual dining but while finishing my meal, I struggled to find outstanding elements of French and Japanese cuisine in the dishes. While we find that it is a worthy place to visit, it might be some time yet before we return for their food. The queue of course would be a strong deterring factor notwithstanding the acceptable prices.